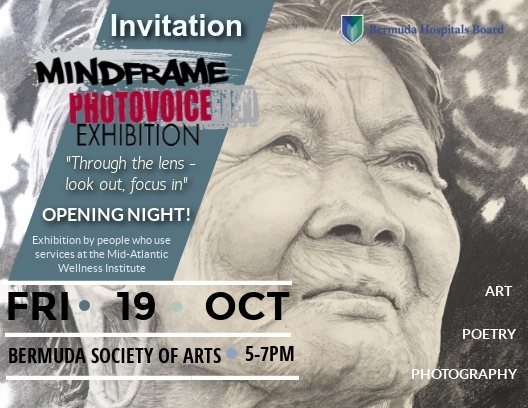 The annual MindFrame PhotoVoice Exhibit launches on Friday 19 October at the Bermuda Society of Arts. A showcase of creativity by people who use services at the Mid-Atlantic Wellness Institute, this year’s theme is “Through the lens – look out, focus in”. Come and experience how art, photography and creative writing can open us to new ways of seeing and experiencing the world!